1. Heat cast iron skillet on medium-low and heat 2 tablespoons Canola Oil with 2 tablespoons butter. 2. 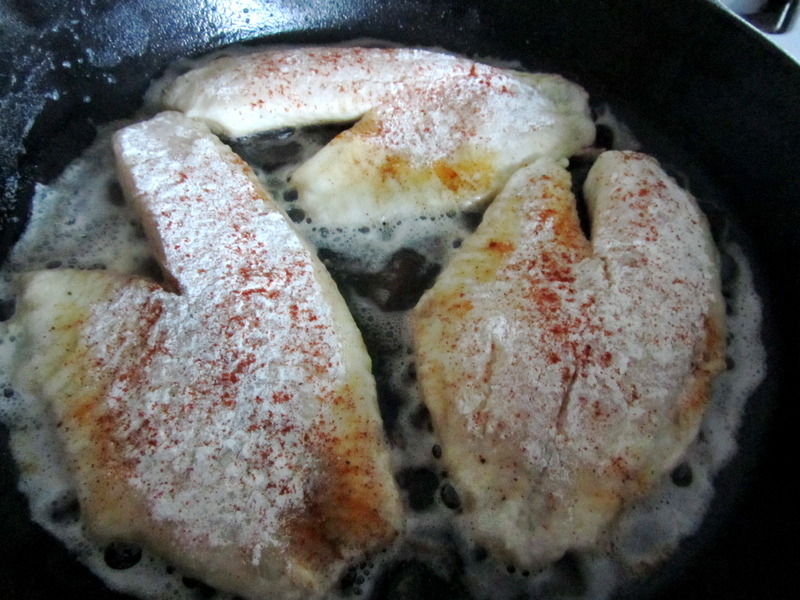 While skillet heats, season flour with cayenne, salt, and black pepper. Dredge filets in milk, then flour mixture. 3. When oil and butter are nice and hot, place the filets in the pan. Fry for about four minutes on each side. You might want to add a little more butter while it cooks. 4. Meanwhile, butter potato rolls on cut side and place a non-stick pan on medium heat. Toast until golden. If you prefer, spread one side of the roll with mayo, tartar sauce, or Veganaise. When fish is done, put your sandwich together and dig in! 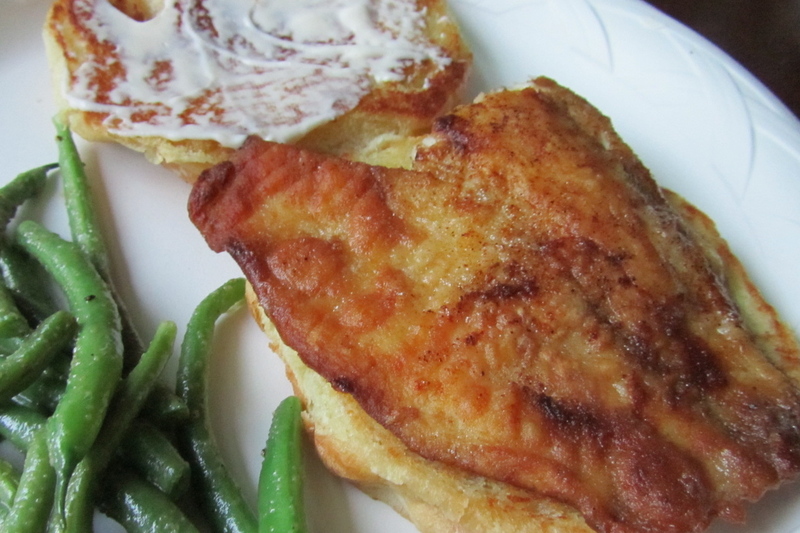 We had the fish sandwiches with green beans cooked in olive oil, salt, and pepper but it would be great with french fries or a green salad, too. 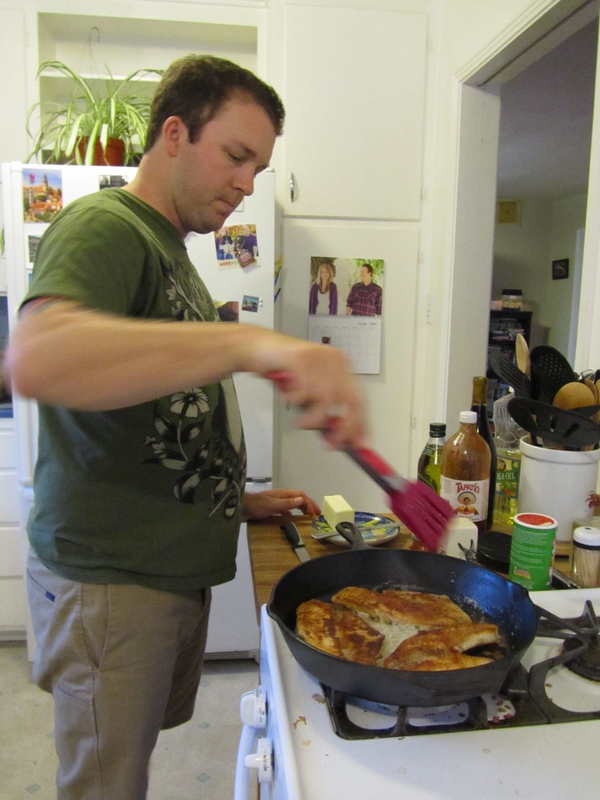 My darling boyfriend, who is the cast-iron cooking expert in this house. Doesn’t he look especially awesome using my pink spatula tongs? This entry was posted in main course, pescetarian, sandwiches, seafood, Sweet Life Laur Original by Laura Zolnoski. Bookmark the permalink. A. Those look amazing. B. I love the calendar of the two of you! We have one like that, too. Hah.